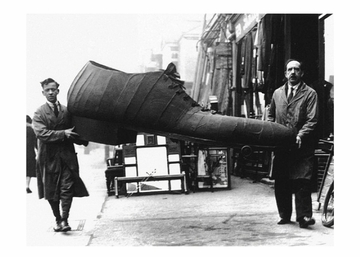 Giant shoe made by bootmakers for the children's ward of the London Hospital. During Christmas festivities, the shoe will be filled with toys. December 12, 1931.